My family and I are very much enjoying The Crown, a historical drama on Netflix, detailing the reign of Elizabeth II, the interactions of the royal family and the state of Britain from before the royal wedding of Philip and Elizabeth. It is a wonderful series with excellent cinematography, acting and storytelling. It is a splendid way of engaging with many important but lesser known facets of British and world history. The dramatic detailing of Churchill’s last days in office strike a particularly poignant note with me, as a fan of the late Prime Minister and maverick. In episode 9 of the first season, Churchill is old. He still clings to office with his incontestable character, but his position is slipping. In celebration of his 80th birthday, parliament commissioned a portrait to be painted of him by the modernist artist, Graham Sutherland. Churchill, as his actor John Lithgow portrays him, reminds Sutherland and the audience that he also paints. I must say, in my opinion, his paintings are wonderful. While posing for his portrait, Churchill engages with Sutherland about the nature of art. Churchill implores Sutherland to not paint Churchill as the old man, but as the proud statesman. Sutherland, sombrely, states that he is concerned with depicting reality. To this, Churchill implies that there is a truth that cannot be seen, but is up to the artist to illustrate themselves. I’m a fan of Churchill’s paintings for more than just my admiration for him as a statesmen and defender of the free world, but because he does seem to continue the legacy of the Impressionists – an art movement that is my favourite. The Impressionists were not concerned with photo-realism. With the invention of the camera, there was no longer any need for realism in art. Rather, Impressionists were concerned with the things that a photo can’t catch: feeling, movement, light, the underlying essence of the image that isn’t caught through the basic observation. Churchill believes that his portrait should depict what he truly is – a maverick, a hero. Powerful. Sutherland believes it should depict what is there – an old man. In the episode, the two bond over a revelation that Churchill’s continuous painting of a fish pond is actually his way of coping, or returning to the tragedy of his child’s death. It is a touching scene that is followed by a heart-breaking conflict between the two. When Churchill’s portrait is revealed, he hates it. He considered it an insult and a humiliation. Above all, a betrayal. Churchill sends Sutherland away. The episode ends with the destruction of the painting by Churchill’s wife. The destruction of artwork aside, there is another conflict here: the notion of art depicting reality or truth. Both Sutherland and Churchill are concerned with the truth. Sutherland wants to depict Churchill as the empirical. The old man. The decayed. Churchill wants himself to be depicted as his true self – his essence. A statesman. A knight of the garter. A defender of the free world. The show does well to present both sides of the argument, but I can’t help but feel that many viewers will take Sutherland’s side in this argument. His speech is very impassioned, after all. But in this way, many people would be slightly hypocritical – no less the creators of the show. As is the way with dramatizations of anything, the show’s creators take some liberties in the manner in which they have depicted historical events. This is inevitable. History is muddied. There are opposing viewpoints and a lack of evidence and sources. But, most importantly in the making of television, a lot of it can be unclear and boring. The Crown goes to great effort to be as accurate as it can be, but it does make dramatic changes to reality. 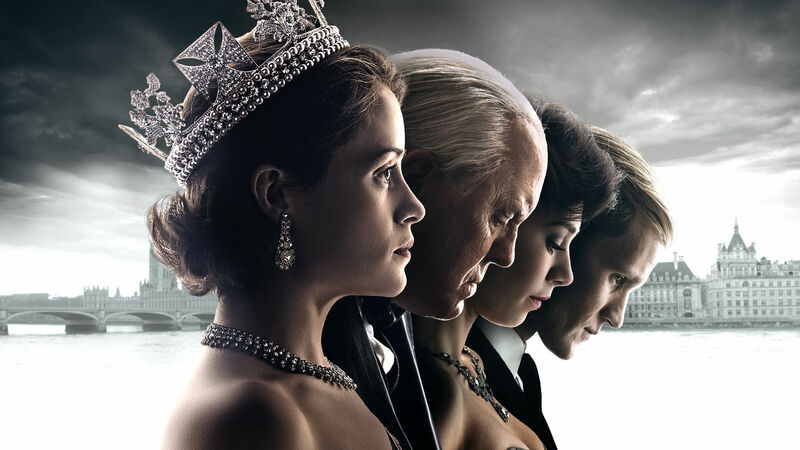 For one, the show overplays the rumours of Philip’s supposed affairs, as well as conjuring the existence of Churchill’s one secretary in the early episodes of Season 1. This is in no way a criticism of the show for taking liberties. Good television and good drama require, well, the dramatic. “What is drama but life with the dull bits cut out,” once said Alfred Hitchcock, but it is more than that. The dramatic requires the liberty to add, more than just subtract from what happened. But this adding cannot and should not be equated to lying (at least in the responsible cases such as this show). The simple observation of a story cannot depict the essence of life. When someone stands idly, one cannot observe their feelings, their intents or what was not recorded but implied. The role of drama is to reveal this, to turn implication into action and to fill the gaps to bring clarity to the confusing muddle that is reality. I stand with Churchill, not necessarily in his hatred of his portrait, but that art is not the simple carbon-copying of reality. Rather, art should capture the essence of reality. The subtext, the truth behind the façade. Where the photo sees a smile, art should reveal the grimace. Where the photo sees decay, maybe art should remind one of the bygone days of glory. At the same time, I also think there’s a place for Sutherland’s work. For art is about depicting the essence of humanity. And one such essence is that age is, indeed, cruel. In depicting the basic observation, Sutherland is telling the truth. But that doesn’t mean Churchill is wrong. And if Churchill isn’t wrong, Sutherland is still not a liar or a traitor. There are many truths when it comes to art, because there are many shades to paint the complexity of the human condition. Mundane reporting cannot always truly capture what happened or what it meant. For this, we sometimes have to rely on the dramatic, or even fiction. The Crown is one such shade, and has been painted exquisitely to shine an entertaining and educational light on a typically unknown and ignored facet of history. For this, I applaud its attention to accuracy and its liberties in showing the essence of the story. Ultimately, while The Crown often reminds the viewer that royalty are not allowed to be human, this show has accomplished much in revealing how human they and other giants of history really are.